Youtube is the best online platform to watch and upload your videos. There are several types of youtube videos and many of prefer different types. But Youtube is not the best place to download the video. 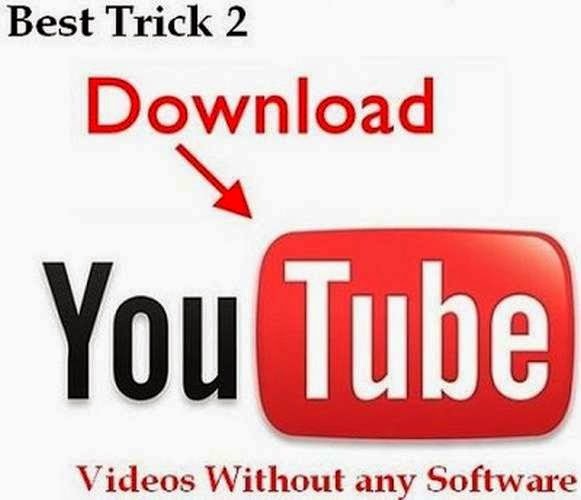 You have to download many softwares to download Youtube videos and many of them do not work effectively. Many of us use IDM(Internet Download Manager) to download youtube videos but on the new versions of idm it is also not able to download Youtube videos. Some Internet Providers give special plans for Youtube. It means you Internet speed will be doubled on youtube.com and on it servers. So in this way you can easily watch youtube videos without buffering. But, if you have noticed that the speed decrease when you download Youtube Videos. Many tools first download Videos on there server and then pass the link of the video from their server to you. In this case you are not able to use the extra speed of your Internet for downloading the videos because your are not downloading youtube videos directly from their servers. Solution is downloading youtube videos directly from Youtube's Server. You just need the URL of the video and you can download the video. This URL will be the URL of the video where it is stored on their server so when paste this link in your browser the Download will start and with the same speed with wich you was streaming the video. How to get Server URL of the Youtube Video? To get the Direct server URL just go to Linkyoutube.com and paste the URL of the video and click on arrow button to get the link. Now After clicking the arrow button you will be able to see the Server URL's of the videos in different types of resolution. Choose the resolution in which you want to download the videos and just click on links to download it from your browser or Copy it and paste it in your downloader like IDM. Difference speed of Video Downloading from Dailymotion and Youtube server using Linkyoutube. I have tested this method for me and i always use this method to download videos from youtube because my Internet Provider Gives me extra speed for Youtube Server. Hoping that your Internet provider also gives you the same or a better Internet plan! This is the screenshot of my PC to show you the difference. If you Like the Post so share it and comment your doubts about it.